ALL SALES ARE FINAL AND EVERYTHING IS SOLD AS IS WHERE IS. NO WARRANTY ON ANYTHING WHAT SO EVER. PAYMENTS MUST BE MADE ON SALE DAY BEFORE REMOVED FROM THE PREMISES. WE EXCEPT CASH OR CHEQUES WITH A LETTER FORM THE BANK GUARANTEEING THE PAYMENT. WE ALSO EXCEPT DEBT, VISA, MASTERCARD. 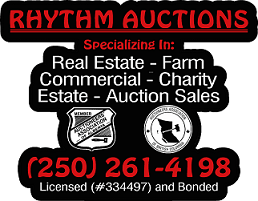 CONSIGN EARLY AND WE WILL BE ACCEPTING ITEMS ALL WINTER LONG BY APPOINTMENT BY CALLING 250-261-4198 SO IF YOU HAVE EQUIPMENT TO SELL WE WANT TO TALK TO YOU. click on the link below to register and bid online.  Note: not all items will be available to bid online. 2012 24' Blazer inclosed white cargo trailer, BC Reg, vin # 5NHUBLZ2XCT433164, 4900 lbs axles. Trailer is like new. speaks for itself. Don't miss out in this one. Has not been used much at all. great shape. 10' X 18' Shack on skids. 16.5 hp kohler 3200 psi pressure washer. Note: subject to additions and deletions. MORE COMIMG DAILY.